With Power Rangers Megaforce, the Power Rangers franchise is celebrating twenty years of airing on American television. In Japan, the Super Sentai series is a franchise and genre which Power Rangers is adapted from. Super Sentai is in fact a sub-genre of tokusatsu, a genre in Japanese cinema featuring special effects generally of a science fiction nature. However, it’s likely American cinema may have inspired tokusatsu, especially the works of Willis H. O’Brien and Ray Harryhausen. O’Brien, a master of special effects and stop motion animation, helped bring to life a film adaptation of Arthur Conan Doyle’s The Lost World in 1925. Along a similar line, O’Brien went on to apply his craft to King Kong in 1933 which would forever change the landscape of what was possible to produce on film. Featuring a giant, monstrous ape, King Kong started the giant monster genre imitated frequently both locally and internationally (The Beast from 20,000 Fathoms, Gorgo, and Reptilicus a scant few examples). Giant monsters would even transition into comics with characters such as National/DC Comics’ Titano and Marvel Comics’ Fin Fang Foom. In 1949, O’Brien would take on an assistant in Ray Harryhausen on the film Mighty Joe Young. Harryhausen would take special effects and stop motion to even greater heights when he broke out on his own working on films such as The 7th Voyage of Sinbad and Jason and the Argonauts. Where America had O’Brien and Harryhausen, Japan had Eiji Tsuburaya. Working as a cameraman on Japanese productions, Eiji Tsuburaya would become a phenomenon in Japan as a special effects wizard in 1930 for his work on Chohichiro Matsudaira. When Tsuburaya happened to watch King Kong when it came to Kyoto, he was instantly inspired. 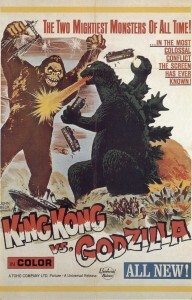 Working on dozens of films, this inspiration would eventually lead to the film Gojira for Toho Studios in 1954. In place of stop motion, Tsuburaya opted to instead employ an actor in a rubber suit which came to be known as suitmation. When the film came to America as Godzilla, King of the Monsters! in 1956, it was a hit. Gojira gave birth to the Kaiju, or giant monster (generally with suitmation), genre in Japan which has and continues to be the most celebrated sub-genre of tokusatsu. His popularity in America saw Toho’s Rodan released in America in 1957, Mothra make his American theater debut as the Thing in Godzilla vs. the Thing in 1964, and Daiei Studios’ Gamera emerge as Gammera the Invincible in 1966. Godzilla would even get to battle his progenitor King Kong in 1962’s King Kong vs. Godzilla. 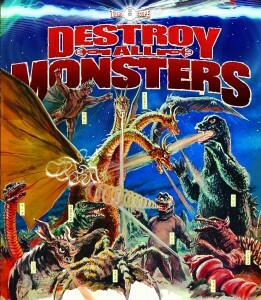 Produced by Toho, the film celebrated the studio’s thirtieth anniversary. In 1998, America would produce its own Godzilla film but the result would prove to be disappointing in ticket sales and viewer interest. A resurgence in American Kaiju was jumpstarted in 2008 with the J. J. Abrams produced Cloverfield and the film trilogy based on Hasbro’s Transformers toyline (itself based on Japanese toys from Takara). In the summer of 2013, Guillermo del Toro (Blade II, Hellboy) will unveil his new film Pacific Rim featuring giant robots fighting giant monsters. Godzilla was retired for the foreseeable future in 2004 with Toho’s Godzilla: Final Wars (the property’s fiftieth anniversary) but Warner Bros has licensed the property for an American produced film set to premier in the summer of 2014. While giant monsters made it big in America and Japan, it was only a matter of time before the genre opened up the door for the Giant Hero genre. 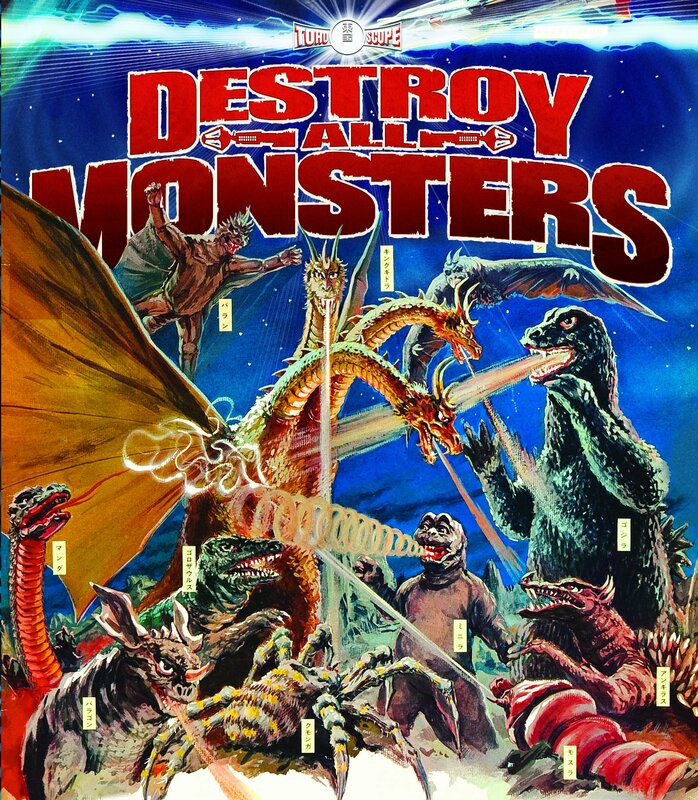 Known as Kyodai Hero in Japan, the Giant Hero genre started in part as producing films with Godzilla as a villain started to prove difficult which evolved into Godzilla becoming an anti-hero (more accurately a directed force of nature) with the film Ghidorah, the Three-Headed Monster. However, the genre really became its own entity with the advent of the live action adaptation of Osamu Tezuka’s Ambassador Magma and the premier of Tsuburaya Productions’ Ultraman. Tezuka, considered the godfather of anime (Japanese animation) and the Walt Disney of Japan, saw his comic adapted into a live action television series premiering only six days before the premiere of Ultraman on television. Ultraman, a spiritual successor of Ultra Q (a television series featuring Kaiju), was the brainchild of Eiji Tsuburaya, the man who gave life to Godzilla. In 1967, Ultraman made its way to the United States and proved to be another tokusatsu hit with Americans. 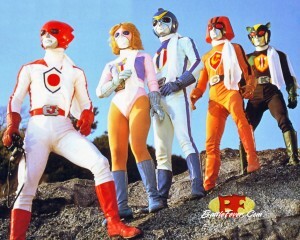 It wasn’t long before American audiences would get series like Johnny Sokko And His Flying Robot in 1969, Ambassador Magma re-branded as the Space Giants in 1973, and Spectreman in 1978. Johnny Sokko was in reality a dubbed Giant Robo, a collaborative effort between Toei Studios and mangaka, or comic creator, Mitsuteru Yokoyama (who previously created the similar series Tetsujin 28-go, known in America as Gigantor). The popularity of Ultraman in Japan gave rise the Ultra series, featuring conventions established in the original show, still going strong today at twenty-four series with Neo Ultra Q currently on Japanese airwaves. Hanna-Barbera tried to produce an Ultraman animated series with Tsuburaya Productions and animated by Ashi Productions in 1987 in Ultraman: The Adventure Begins (known in Japan as Ultraman USA), but the project never went beyond the pilot film animated and released. 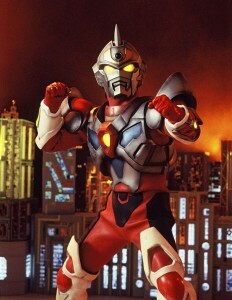 In 1993, Ultraman: The Ultimate Hero was produced in America (known in Japan as Ultraman Powered) but never aired here. Ultraman Tiga, the first Ultra series produced after a more than a fifteen year hiatus in Japan, would be dubbed and aired in America in 2002 by the company 4Kids Entertainment. Ultraman would inspire numerous similar series, some of which like the Shaw Brothers produced Infra-Man and Tsuburaya’s Denkou Choujin Gridman (or Superhuman Samurai Syber-Squad) made it to America (the latter an attempt to capitalize on the success of Power Rangers). Gridman would be the second to last Kyodai Hero series produced by Tsuburaya that wasn’t related to the Ultra series (the last being Bio Planet WoO). In 1972, America would get its next taste of tokusatsu. In Hawaii, the series Kikaider, Android of Justice would hit air waves and become a huge phenomenon. Referred to simply as Kikaida, the series has an almost legendary status where even today if you ask someone who was a child in Hawaii around that time, almost undoubtedly they would be a fan of the show. The series was created by mangaka Shotaro Ishinomori for Toei. In terms of tokusatsu, Ishinomori was a contributor to the genre in ways you would have difficulty quantifying. Virtually any sub-genre of tokusatsu beyond Kaiju and Kyodai Hero could in one way or another (directly or indirectly) be attributed to Ishinomori. One example being Super Sentai, which spawned Mighty Morphin Power Rangers. 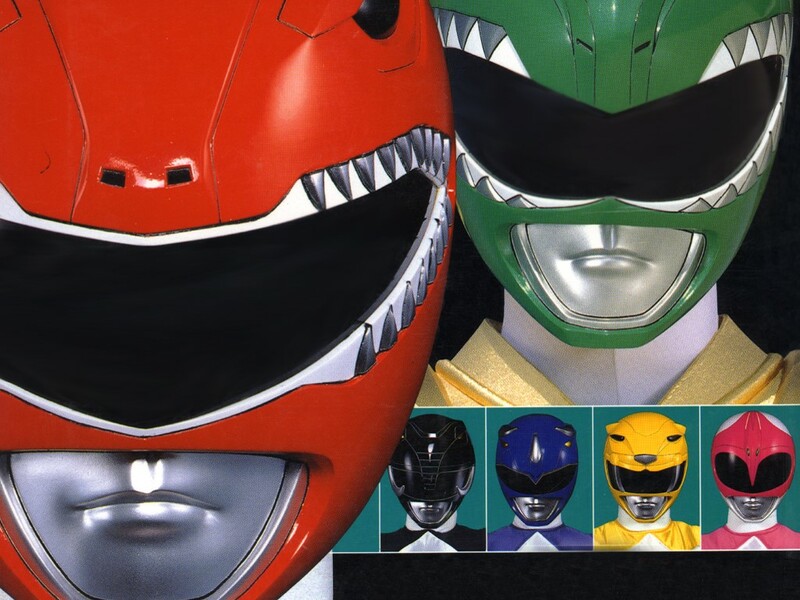 Premiering on American television in 1993, Power Rangers took clips from the series Kyouryuu Sentai Zyuranger and combined it with clips starring American actors who dubbed over the Japanese footage. 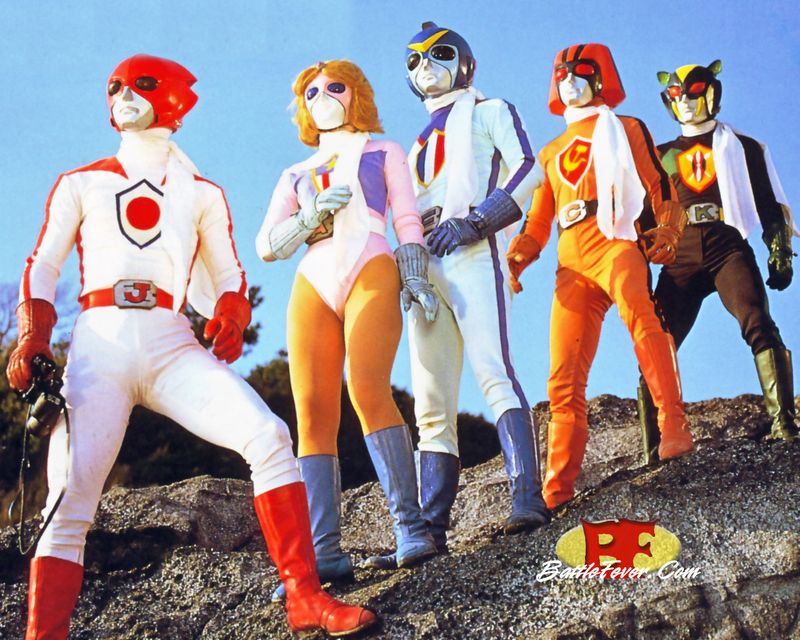 Super Sentai, roughly translating to “super squadron,” was created in a collaborative effort between Ishinomori and Toei beginning with the series Himitsu Sentai Gorenger followed by J.A.K.Q. Dengekitai. 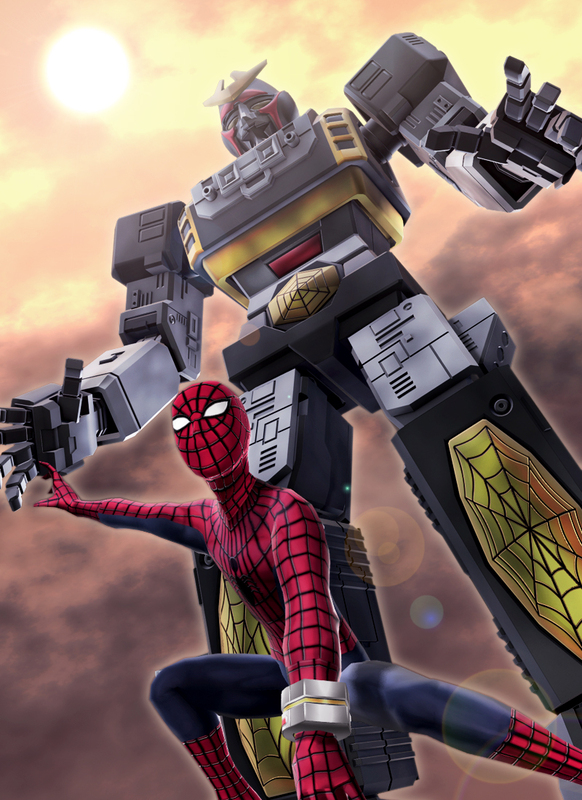 When the latter didn’t perform well with ratings, Toei parted ways with Ishinomori and teamed up with Marvel Comics to produce a live action version of Spider-Man called Supaidaman. This version, however, didn’t line up very well with his American counterpart, wearing a special Spider Protector suit (which resembles the American costume) and employs numerous vehicles including the flying car Spider Machine GP-7, the spacecraft Marveller, and the giant fighting robot Leopardon (the robot was licensed by Mattel for its Shogun Warriors toyline, which included Godzilla and Rodan, that would be adapted by Marvel into a comic book). Marvel and Toei would team up again on a project that was an even looser adaptation of a Marvel property in Captain America in the series Battle Fever J. Teaming heroes sent all around the world to be trained in foreign arts and skills (including the United States’ Miss America), the show for many years was the first official Super Sentai series until Toei later counted the two prior Ishinomori shows among its number. At the very least, Battle Fever J featured the first team of heroes who piloted giant robots to battle giant monsters. The series would be a great success and has continued on to today with the thirty-seventh entry Zyuden Sentai Kyoryuger currently airing on Japanese television sets. Hawaii would get subbed and dubbed versions of Gorenger and Battle Fever J as well as Emergency Command 10-4-10-10, Rainbowman, Kamen Rider Rider V3, and Ultra Seven around Kikaider‘s heyday. Kagaku Sentai Dynaman would be comically dubbed and aired on the USA Network and Nickelodeon in the late 1980s. Super Sentai series Taiyou Sentai Sun Vulcan, Choudenshi Bioman, and Choujin Sentai Jetman (a series inspired by Kagaku Ninjatai Gatchaman, known in America as Battle of the Planets, G-Force: Guardians of Space, and Eagle Riders) were all considered to be the basis for MMPR before developers Haim Saban and Shuki Levy finally went along with Zyuranger. Power Rangers, of course, would be a huge hit in the United States, as stated going on its twentieth year in America. 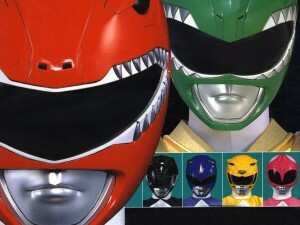 At first, the show would try to find ways to extend Zyuranger beyond the amount of footage that existed in Japan including shooting new footage incorporating elements of the two proceeding Super Sentai series Gosei Sentai Dairanger and Ninja Sentai Kakuranger until Mighty Morphin Power Rangers finally ended after three seasons. The following season, the show would return as Power Rangers Zeo based on Chouriki Sentai Ohranger and would follow the Super Sentai formula of new costumes and new vehicles/robots each season. 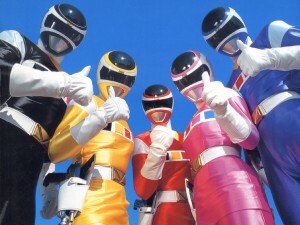 It wouldn’t be until Power Rangers Lost Galaxy, based on Seijuu Sentai Gingaman, where Power Rangers also largely adopted an entirely new cast of characters for each season (this season would also adopt the general practice in Japan of having the last season’s heroes return for a crossover special). With the tenth season Power Rangers Wild Force, based on Hyakujuu Sentai Gaoranger, Disney purchased the franchise and only recently sold it back to Saban with the eighteenth season Power Rangers Samurai (based on Samurai Sentai Shinkenger). The twentieth season Power Rangers Megaforce (based on Tensou Sentai Goseiger) will be Saban’s first opportunity to produce an anniversary special (which appears to be adapting elements of the film Gokaiger Goseiger Super Sentai 199 Hero Great Battle which celebrated thirty-five years of Super Sentai). The success of Power Rangers in America created a hunger for similar content. In 1994, DIC Entertainment produced the low budget series Tattooed Teenage Alien Fighters from Beverly Hills for the USA Network that essentially mashed up elements of Power Rangers and Ultraman. 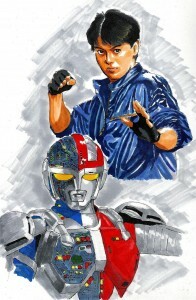 That same year, Saban would use its techniques used with Power Rangers and apply it to the Metal Hero series. 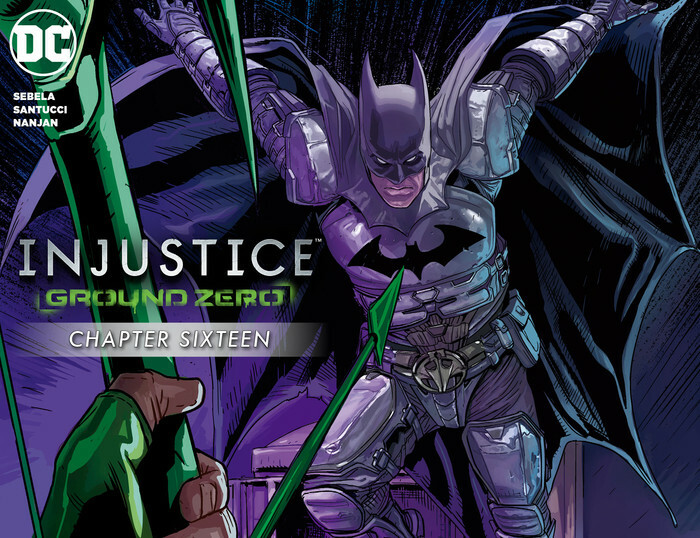 Generally featuring androids, cyborgs, and people using suits of high tech armor, Metal Hero has its roots in such comic series as Osamu Tezuka’s Tetsuwan Atom (or Astro Boy), Kazumasa Hirai and Jiro Kuwata’s 8 Man, and Shotaro Ishinomori’s Cyborg 009, Toei’s first official entry into this franchise is Space Sheriff Gavan. 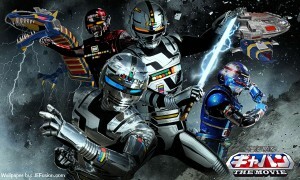 Metal Hero would come to an end in 1998 but Toei would celebrate its thirtieth anniversary with the 2012 film Kaizoku Sentai Gokaiger vs. Space Sheriff Gavan: The Movie. Gavan would go on to receive his own feature film later that year with Space Sheriff Gavan: The Movie. The popularity of these two films and recent films like OOO, Den-O, All Riders: Let’s Go Kamen Riders (which celebrated forty years of Kamen Rider and guest-starred Kikaider and fellow Ishinomori heroes Inazuman and Zubat), Gokaiger Goseiger Super Sentai 199 Hero Great Battle, and Kamen Rider × Super Sentai: Super Hero Taisen (a crossover between Toei’s two top franchises) has led to the upcoming film Kamen Rider × Super Sentai × Space Sheriff: Super Hero Taisen Z. (which will feature characters from eight Metal Hero series and rumors of an appearance by other Ishinomori heroes) next month. This film, depending on its success, could mean a return of Metal Hero. For America, Saban would splice together two unrelated series in Choujinki Metalder (which paid homage to Kikaider) and Jikuu Senshi Spielban to form the basis of the series VR Troopers. 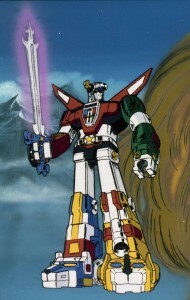 Originally supposed to be named Cybertron and star actor Jason David Frank, the popularity of Frank’s character Tommy on MMPR prompted Saban to leave the actor where he was and cast new actors. Ultimately, VR Troopers proved to be another hit, though not quite rivaling Power Rangers. Footage from the Metal Hero series Space Sheriff Shaider was used to help produce a second season of the show but in the end the series was canceled when Saban ran out of content to adapt for the show. Undeterred, Saban made another series using Metal Hero stock footage and created Big Bad Beetleborgs in 1996 using Juukou B-Fighter. The show was yet another hit and returned for a second season as Beetleborgs Metallix using footage from B-Fighter Kabuto. 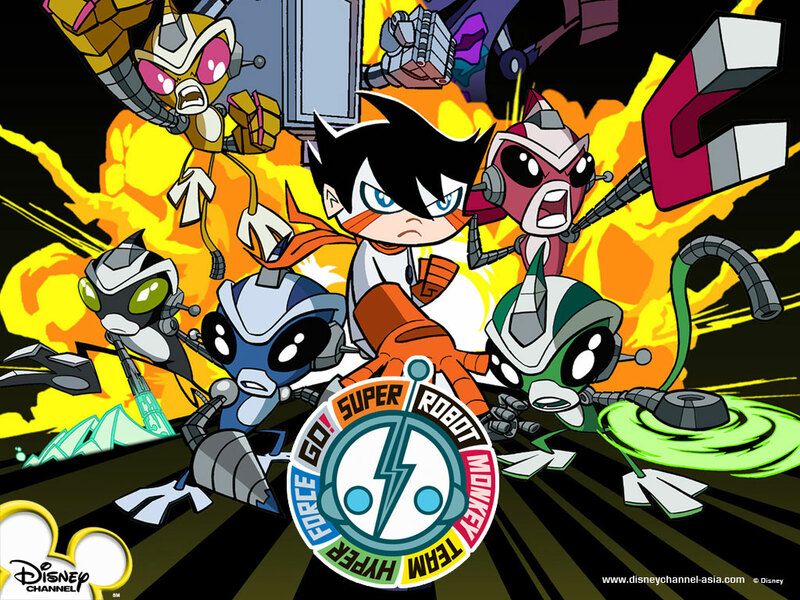 The series had a strong comic book theme as its characters derived from comics in the story. Comic books would be a theme also within Power Rangers being featured in such series as Power Rangers in Space (where it was stated Power Rangers also exists as a comic in the series), Power Rangers Ninja Storm (based on Ninpuu Sentai Hurricaneger, which stated Power Rangers previously existed only as a comic book), and Power Rangers Dino Thunder (based on Bakuryuu Sentai Abaranger, which returned to the dinosaur theme of MMPR and brought back Tommy Oliver to celebrate as well as return to the status quo that past Power Rangers existed). Saban would run into the same problem as with VR Troopers yet again and burned through most of the footage Toei had already filmed. This time, Saban had plans to film new content for a third season but a crisis arose. With the fifth season of Power Rangers in Power Rangers Turbo, based on Gekisou Sentai Carranger, nearly halfway into the season most of the returning cast either left or was let go to avoid pay increases and ratings plummeted. It was decided to take the budget intended for Beetleborgs and instead produce a final season of Power Rangers adapting Denji Sentai Megaranger into Power Rangers in Space. The season wrapped up the series concluding virtually all storylines (except the identity of the Phantom Ranger which was omitted over time constraints) resulting in the demise of the rangers’ mentor Zordon and death or rehabilitation of all villains from series’ past. However, the season ended up being a ratings hit, nearly at the level of MMPR and saw the series’ continuation. Toei’s big tokusatsu franchises are Kamen Rider, Super Sentai, and Metal Hero and in 1995 Saban would complete the trinity with Masked Rider. Based on Kamen Rider Black RX (sequel to Kamen Rider Black), Masked Rider would crossover with the final season of Mighty Morphin Power Rangers and the show itself would in turn be a spin-off of the Power Rangers franchise. In reality, Super Sentai is in part a successor to Kamen Rider. 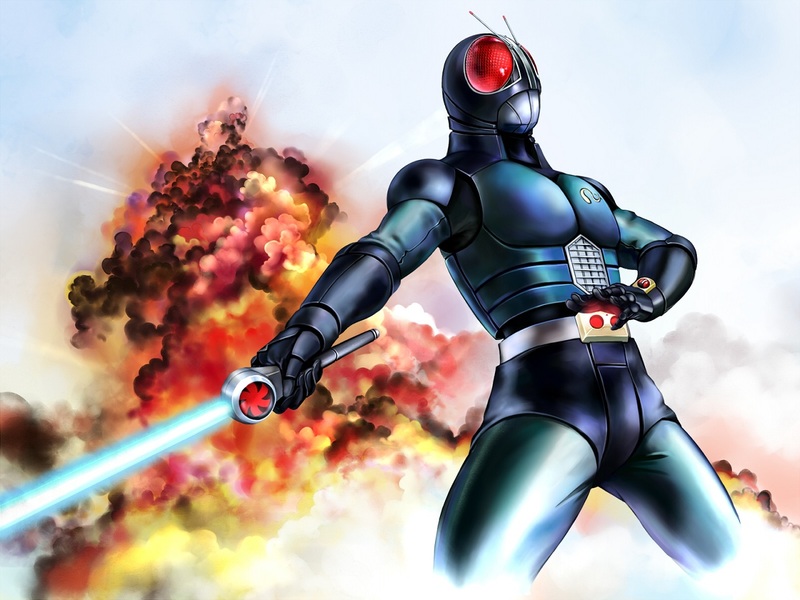 Originally suppose to be an adaptation of Shotaro Ishinomori’s Skull Man comic, the mangaka collaborated with Toei to produce a similar series in Kamen Rider with a grasshopper theme. It was the success of Kamen Rider that saw Toei approach Ishinomori to create the Super Sentai genre. Today, Kamen Rider is in its twenty-third series with Kamen Rider Wizard currently on the air. Unfortunately, Masked Rider didn’t catch on with viewers and was canceled after only one season. A notable episode of the series near its finale was “The Invasion of Leawood” which featured ten past Kamen Riders come to the aid of the protagonist as the so-called Masked Rider Warriors. Another attempt was made to bring Kamen Rider to America in 2009 with Kamen Rider: Dragon Knight (adapting Kamen Rider Ryuki). The series is notable for featuring thirteen Kamen Riders. Despite winning a Daytime Emmy for Outstanding Stunt Coordination, the series only lasted a single season. 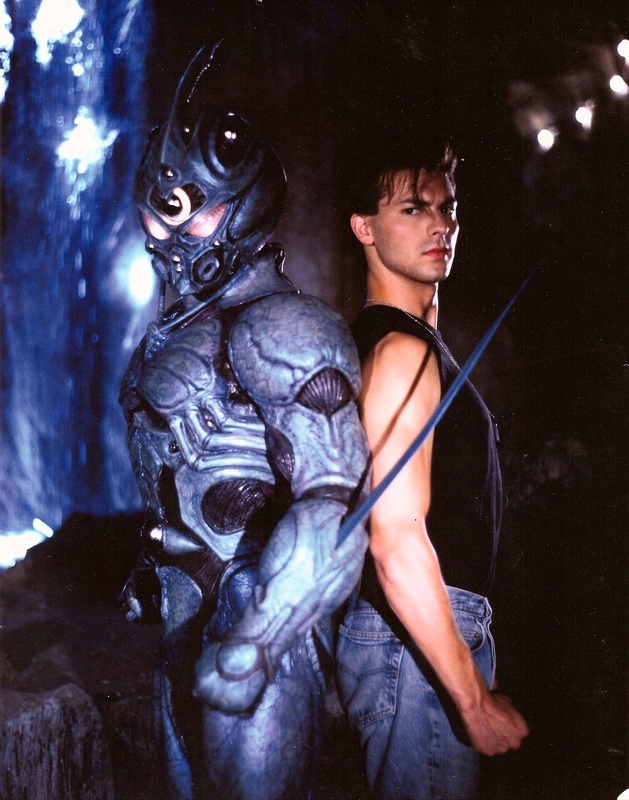 Attempts were made to make American tokusatsu, an early example being The Guyver in 1991 based on the manga (Japanese comic) Bio Booster Armor Guyver (predating Power Rangers by a couple of years). Lauded for its creature effects, the film was panned for its acting. A sequel was produced in Guyver: Dark Hero with a new cast and while the cast was again panned, reviewers felt the action was several times improved from the original (featuring the first major stuntwork of Koichi Sakamoto who went on to become a major player with both Super Sentai and Power Rangers) but plans for a third film were halted when the rights reverted back to its owners. Still, the sequel has become a cult favorite among fans. Saban would try to produce his own tokusatsu series in 1997 by dipping into the popular live action film franchise of the Teenage Mutant Ninja Turtles with Ninja Turtles: The Next Mutation. Crossing over with Power Rangers in Space at one point, the series would be canceled over fans disapproval of the poor quality of stunt work and cheapness of much of the design of props and characters leading to low ratings (the previous year to Saban’s series, an anime special on the Turtles was produced in Japan called Mutant Turtles: Choujin Densetsu-hen, animated by Toei for Takara). Saban would give it another try with The Mystic Knights of Tir Na Nog combining elements of Power Rangers with Irish myth and legend (the series was reminiscent of the anime Yoroiden Samurai Troopers, which came to America as Ronin Warriors in 1995). The series did well enough that a second season was planned, called Mystic Knights: Battle Thunder, but was scrapped when Power Rangers in Space proved to be a hit and the budget for Mystic Knights instead went to produce another season of Power Rangers. In 1996, Kaiju Big Battel would emerge in the United States as a promotion that largely combined live action Kaiju combat and professional wrestling. Tokusatsu would crop up in several areas of American media, notably cartoons and comics. 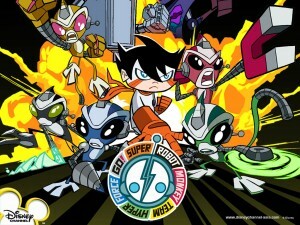 Likely the most notable animated example was Ciro Nieli’s Super Robot Monkey Team Hyperforce Go! which was largely a love letter to tokusatsu (Nieli would go on helm the DC Super Friends OVA “The Joker’s Playhouse” and 2012 animated reinvention of the Teenage Mutant Ninja Turtles). Another series that featured a number of elements from tokusatsu (as well as anime, comic books, and pro wrestling) was Megas XLR. 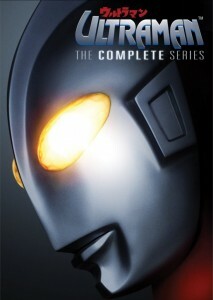 In the comics, elements would emerge such as DC Comics’ third Toyman (Hiro Okamura) and Big Science Action and Marvel Comics’ Red Ronin and Big Hero Six (not to mention the aforementioned array of Kaiju especially from Marvel who generated dozens of them, many created by Stan Lee, Jack Kirby, and Steve Ditko). Professional wrestling would also be influenced by tokusatsu. An American example would be Jerry Lynn who, while at World Championship Wrestling (WCW), became the masked wrestler JL (alternatively Mr. JL), inspired by Power Rangers but also in the model of lucha libre (Mexican wrestling) or puroresu (Japanese wrestling). This pales, however, to the internationally renowned Jushin “Thunder” Liger. Originally the creation of legendary mangaka Go Nagai (Cutie Honey, Devilman, Mazinger Z, Violence Jack), Jushin Liger was the titular star of an anime series licensed to New Japan Pro Wrestling (NJPW) as a gimmick for a wrestler to adopt for an in-ring persona (a similar circumstance with manga/anime character Tiger Mask). A sort of living tokusatsu hero, Liger was a huge hit. In fact, the character would evolve into Jushin “Thunder” Liger and become known around the world, including in the US in WCW and Total Nonstop Action (TNA), but was the brightest star of puroresu (he would even inspire other wrestlers, like renowned luchador, or Mexican wrestler, Psicosis). Liger would even star in his own tokusatsu film in Jushin Thunder Liger: Fist of Thunder (1995). Kabuto-O Beetle, another wrestler created by Go Nagai but specifically for Osaka Pro-Wrestling, also starred in his own tokusatsu film in 2005 (with a cameo by Liger). Puroresu would be the subject of a tokusatsu television series in Puroresu no Hoshi Aztecaser (created by Go Nagai and Ken Ishikawa), predating Kinnikuman (which started as an Ultraman parody) by several years. Nagai would also create a tokusatsu series named X-Bomber that featured marionettes (a technique known as supamariorama, based off of supermarionation devised by AP Films, famous for Thunderbirds). Tokusatsu would also influence anime, just as it drew inspiration from anime, and the series it influenced would come to America. 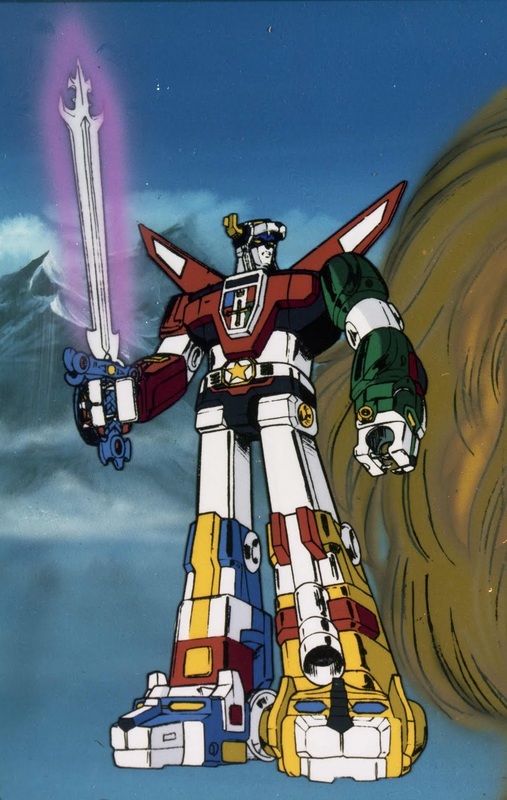 It’s amusing that when Power Rangers premiered in America, many naysayers said it ripped-off Voltron: Defender of the Universe. In truth, the series was made by splicing together separate series Beast King GoLion and Armored Fleet Dairugger XV, both animated series produced by Toei so in some manner, it’s in reality an animated Super Sentai from the company that created it. Other animated series that borrowed from (or paid homage to) tokusatsu include Cutey Honey (which later became a tokusatsu series), Yatterman, Gyakuten! Ippatsuman, Bio Booster Armor Guyver, Tekkaman: The Space Knight, Saint Seiya (Knights of the Zodiac in America), Dragonball Z (in terms of the Ginyu Force and Great Saiyaman), Magic Knight Rayearth, Sailor Moon (which later became a tokusatsu series), The King of Braves GaoGaiGar, The Big O (with inspiration also from Batman: The Animated Series), Dai-Guard, Bleach (in terms of Mashiro Kuna), Mitsudomoe (in terms of Honki Sentai Gachiranger), and Astro Fighter Sunred. In Japan, it became common for amusement parks to have live action Super Sentai performances which infrequently make their way into various manga and anime series. In 1994, the concept would make its way to America with the Mighty Morphin Power Rangers World Tour Live on Stage featuring footage of the show’s actors on a large screen setting up live fights with costumed performers. Though, four years prior the Teenage Mutant Ninja Turtles tread similar ground with the Coming Out of Their Shells tour. Forgot to add Star Kid and Iron Giant. 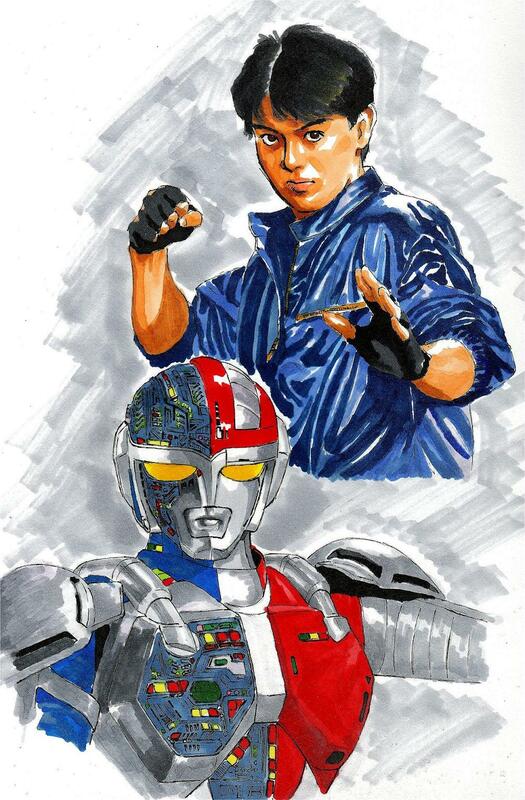 Some other Ishinomori tokusatsu heroes include Henshin Ninja Arashi, Robotto Keiji/Robot Detective, and Akumaizer 3. Also, characters from Tokusou Robo Janperson would make their way briefly in to an episode of Big Bad Beetleborgs. 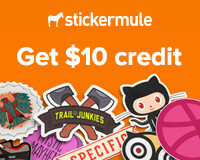 Feel free but I should warn I'm no expert. You're more likely to find experts at Henshin Justice. Completely forgot about Ultraman: Towards the Future.